The two big questions that accompany the announcement of each new Assassin's Creed game are, when is it coming, and where does it take place? The answer to the first is always "next fall," at first, but the second is always a surprise and part of what makes the series exciting despite its yearly release schedule. Ubisoft clearly has a plan, but fans have requests of their own. Among the most common requests is something set in shogunate eras of Japanese history, when samurai were common and from where all ninja lore stems. In an interview with AdWeek, though, Ubisoft's Managing Director Jade Raymond put that wish down like an Assassin target. Raymond says the next Assassin's Creed will feature her favorite historical era, but said that it won't be set in Japan. Concerns with the ongoing story being able to go on play a role in this. "When we're building a franchise, we're thinking of a whole universe and how we're developing a meta-story that could live on for many years in games and TV. If the story has nowhere to go, then you end up with the video game equivalent of The Matrix 2 or something where it's never going to be quite as genius," she says. As a fan of Assassin's Creed, I see the draw of the ninja parallel, but a few elements get in the way of the idea. The biggest is architecture. 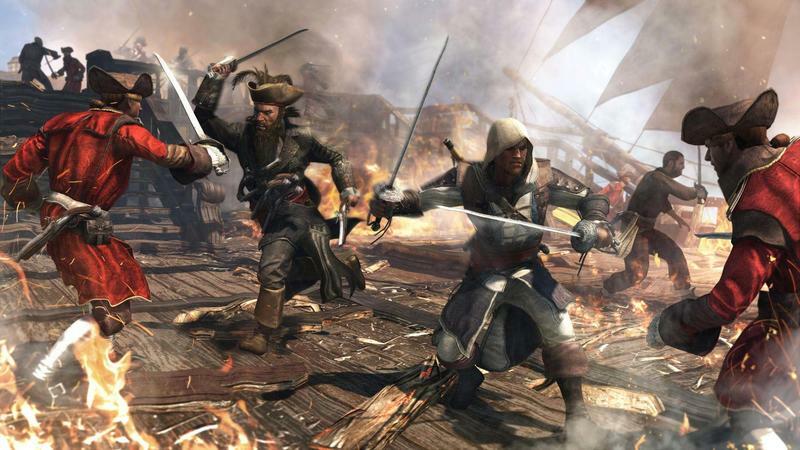 One of the primary complaints levied against Assassin's Creed III, alongside bugs and a hard-to-like main character, was that it was just too horizontal. A game taking place in the early versions of New York and Boston simply didn't have the same vertical nature that old Italian and Israeli cities, or even the more compact but still old world style of the Caribbean Islands. The Japan that ninja lore came from suffers much of the same problem. While castles were as impressive as you could want, cities like Kyoto and Tokyo (called Edo at that point in time) were built primarily out of paper and wood. Buildings just weren't that tall or varied. Art from the era frequently depicts endless rows of two story houses disappearing down endless streets. An Assassin's Creed game set in that period would give the team creating it the split imperatives of adhering to the realistic representations of the city that they've tried so hard to stick to and giving fans what they want in more verticality and sweet ninja action. I think Ubisoft could make a great open world samurai or ninja game, but I don't think Assassin's Creed is the place to do it. There are much more likely and fitting places for assassins to visit in the meantime. The big requirements are impressive architecture and a large or changing power structure for assassins to undermine. The early 20th century gives us the Bolshevik revolution in Russia (for which rumors are already floating around), and the heyday of the Mafia on the East coast. The late 18th century gives us the French revolution and the Industrial revolution happening in England. They don't have to stay in the western world, of course, but that's just a start for more likely locations. We'll find out what Raymond's favorite historical era is sometime this fall, but now we know where it isn't.